Tina is a paralegal at the law offices of Markarian & Hayes in Palm Beach Gardens. She first joined the Palm Beach County Chapter of PAF as a Student member while attending Palm Beach State College. After graduating and being promoted to Paralegal at the Firm she became an active member. Tina received her CP designation in March 2013 and is also a Florida Registered Paralegal. Before being elected President, she first joined the Chapter Board as Parliamentarian and later was elected Treasurer and First Vice President. she continues to sell 50/50 raffle tickets at our monthly dinner meetings. Tina has also served on the Holiday Charity Committee and sold 50/50 raffle tickets at the dinner meetings. Before becoming a paralegal Tina was an Office Manager and Bookkeeper at a construction company in New York and a staffing company in Pompano Beach, Florida. 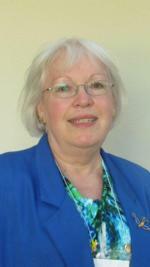 Olga has been a member of the Chapter since 1989. She is currently a member of the Mass-Torts Department at Searcy Denney Scarola Barnhart & Shipley, P.A. 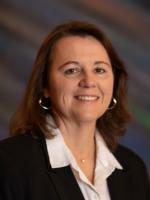 She has been a paralegal since 1989 and has earned her ACP, FCP and FRP designations. Olga has been active on several committees for the Chapter including Bench Bar Conference and the Annual Seminar being hosted by our Chapter this year. 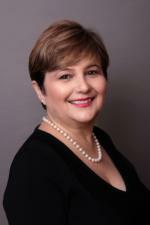 She is also currently a paralegal Board Member of the Hispanic Bar Association. Angela has been in the legal industry for approximately 32 years. She currently works at Searcy Denney Scarola Barnhart & Shipley, P.A. and has been there for 21 years and works for a team of three lawyers, Karen E. Terry, Esquire, Matthew K. Schwencke, Esquire and Andrea Lewis, Esquire. At Searcy Denney Scarola Barnhart & Shipley, P.A. she handles personal injury, wrongful death, medical malpractice, nursing home, and prescription case in addition to other areas of practice. Presently involved with the following organizations: Palm Beach County Chapter, Paralegal Association of Florida – December 2010 to present, Board Member and Secretary – June 2017 to present, Florida Registered Paralegal – December 2009 to present, Palm Beach County Bar Association – January 2012 to present, Palm Beach County Justice Association – October 2010 – present, Friends of Foster Children – Board Member and Secretary – 2011 to present. In her free time, she enjoys reading, fitness workouts and yoga. 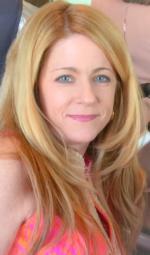 Sherry has been a Litigation Paralegal in the Palm Beach County Attorney’s Office, for over 13 years. Before that working in the private sector, doing both plaintiff and defense assignments in firms around the Palm Beach County area. She has been active since joining PAF, Inc. / PBCC in 1999, serving on the Executive Board in almost every capacity, including serving as Law Week Chair since 2004 and recently assuming the role of Career Network Chair in 2017. And lastly, on the State level, she became the Editor of “In Brief” in 2014. 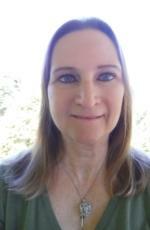 Donna is a trust and estate paralegal working at Proskauer Rose LLP in Boca Raton. She has been a paralegal for more than 20 years, the last 9 years here in Florida, and a certified paralegal for 8 years. Although Donna worked in a law firm while attending Queens College of CUNY in New York, she has also worked for General Motors selling short-term investments, and only went back to the legal field after her third daughter was born. She has been active in the Chapter since joining in 2006, first selling 50/50 tickets, then on the HCE and Seminar Committees, then on the Board serving as Secretary, Treasurer, and finally, as President. She was also the Treasurer of the Paralegal Association of Florida, Inc. for 2014-2015.